We are available 24/7 365 days a year! If you need help with any boiler related problems then give us a call. Based in the Swindon and Wiltshire area, we will use our vast experience in the industry to offer the best advice possible. Fully Gas Safe and OFTEC certified, you can rest assured that we provide a safe and great value solution to all your boiler needs. 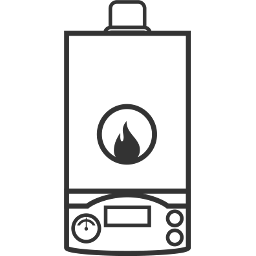 Having your gas boiler serviced regularly is vital to keep it working efficiently and also to make sure it is still safe to use. CentraHeat can perform a performance and safety check annually for your boiler to make sure it is working as it should. Once the service is completed by one of our expert staff, we will issue the relevant legal documents to show that it is safe to use. The boiler really is the heart of any Swindon home – don’t take the risk of not maintaining yours and possibly losing your heating and hot water when you most need it! f you are having a new boiler installed or have parts of your heating system not working, we would highly recommend power flushing your whole system. This will help to remove any waste or debris so your heating system will work to its maximum level when required. A very popular service we offer alongside power flushing is the introduction of MagnaClean into your heating system. This will work into the future after the system has been flushed out to stop anymore debris or waste building up in it. MagnaClean is great as it has the effect of helping to prolong the life-span of your boiler as well as helping to avoid any issues that sludge in your system can bring. It is an unfortunate fact of life that sometimes a boiler can break down. If this happens, give us a call so we can fix it for you fast and at great value for money. We won’t take any payment until you are 100% happy with our work and all our labour is guaranteed for a full 12 months. You even get the manufacturer’s guarantee on the replacement part(s) too for extra peace of mind! If you are thinking of having a new boiler fitted but are struggling to make sense of the different options out there, don’t despair. Here at CentraHeat, we can discuss your individual requirements and recommend the best boiler system for you. All of our engineers are fully qualified and trained in the latest regulations to give you full peace of mind. We only install boilers from the best manufacturers in the industry, such as Worcester, so you know you are getting the highest quality of parts along with the full manufacturer’s guarantee. Our professional and friendly engineers will ensure that all work is carried out with the minimum amount of disruption to your Swindon home. If you are in the Swindon or Wiltshire area then get in touch with us today for no obligation, free and professional advice from our expert team. Whatever boiler issues you have, we can help get it sorted for you at great value for money. We understand how vital it is to have a fully working boiler and will do all we can to make this happen. When it comes to boiler service Swindon, CentraHeat are the customers choice.